Google launched their new OnHub router back in August of last year, since then Asus also launched a router based on Google’s OnHub platform. 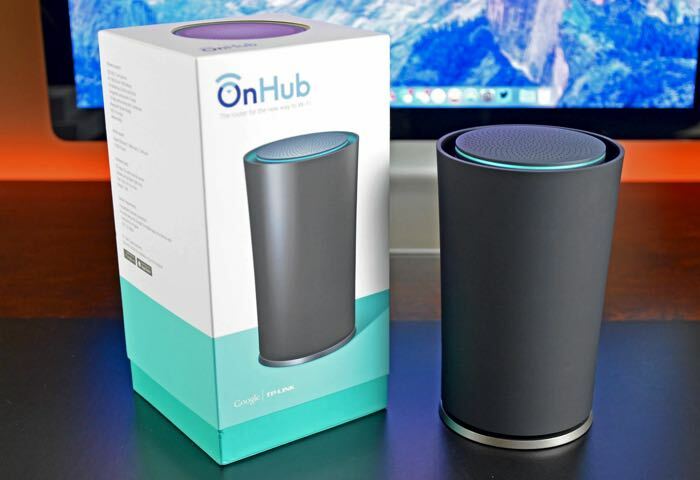 The company has now announced a new update for OnHub which brings support for IFTTT to Google’s router platform. Keep track of your loved ones by receiving automatic notifications when a mobile device connects or disconnects from your OnHub network. Prioritize certain devices whenever they connect, to ensure your most important tasks get the Wi-Fi they need. And since OnHub supports up to 100+ devices at a time, such as speakers, phones, tablets, lights, Chromecasts, and Nest thermostats, you can create Recipes to control these devices and seamlessly connect them to the hundreds of products and services that support IFTTT. These are just a few ideas, but we wanted to put creative control over OnHub and IFTTT directly in the hands of OnHub owners. So we challenged brothers Kyle and Brendan to come up with the most useful recipes they could think of using OnHub and IFTTT, and they shared their results with us in this video below. You can find out more details about the changes coming to the OnHub in Google’s new sofware update at the link below.